is there any regex to do this which can I write in search and replace in notepad++? All previous answer will perfectly work. That will avoid joining the 3 and 4 on my previous example. You have a demo here. use the regex 101 to verify if you want to change the formula. Not the answer you're looking for? 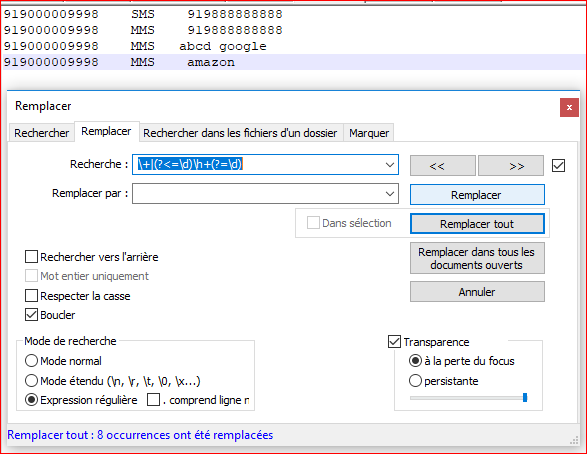 Browse other questions tagged regex notepad++ programmers-notepad or ask your own question.